Living in the Atlanta area, I kept finding coffee mugs from UPS as retirees seem to donate them to thrift stores. 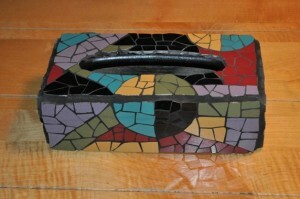 Inspired by a dinnerware set, I used a variety of plates.. 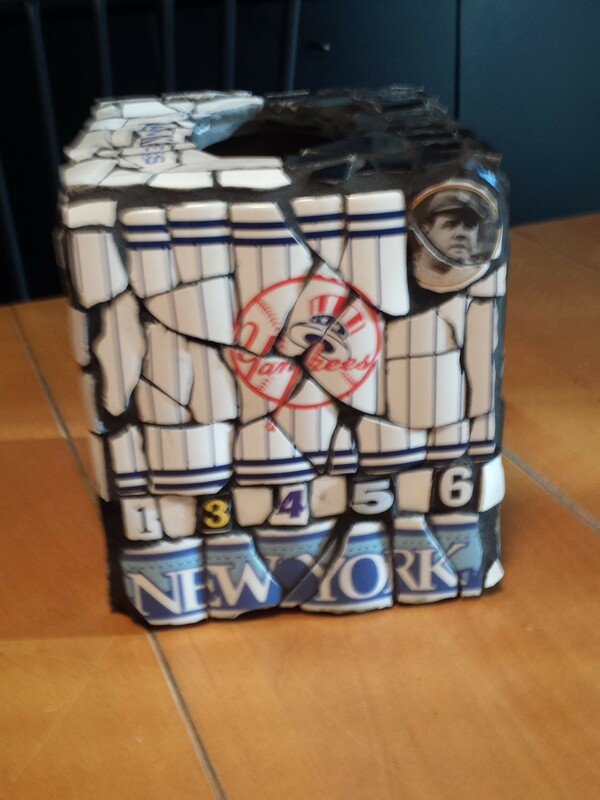 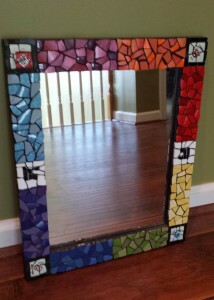 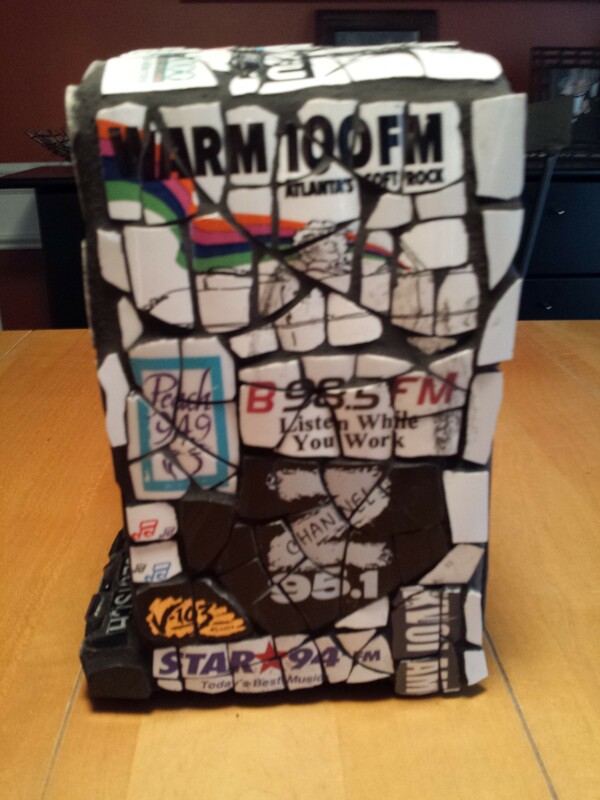 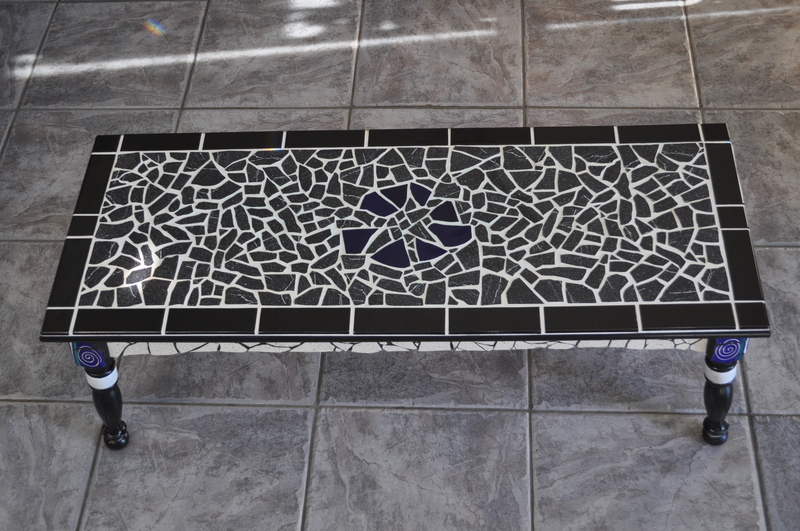 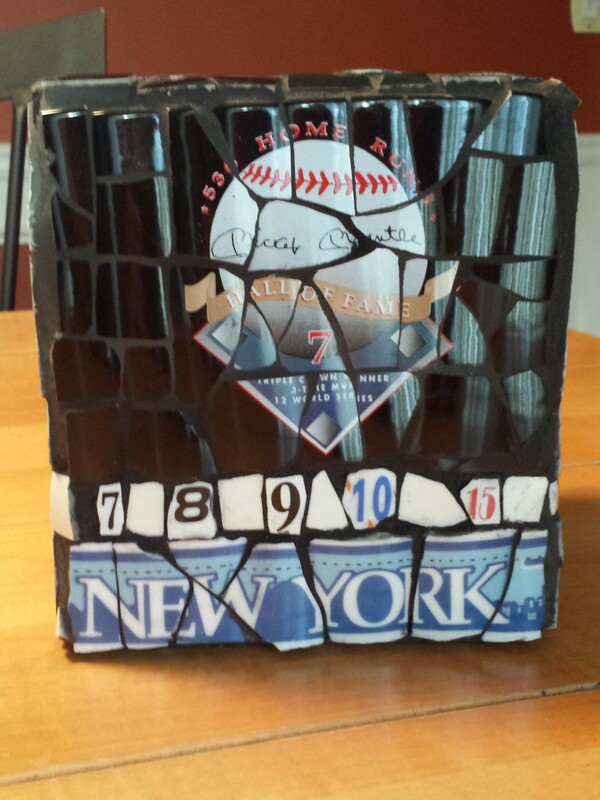 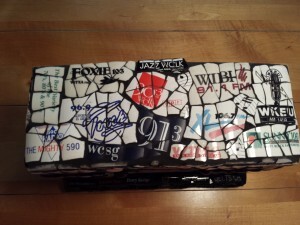 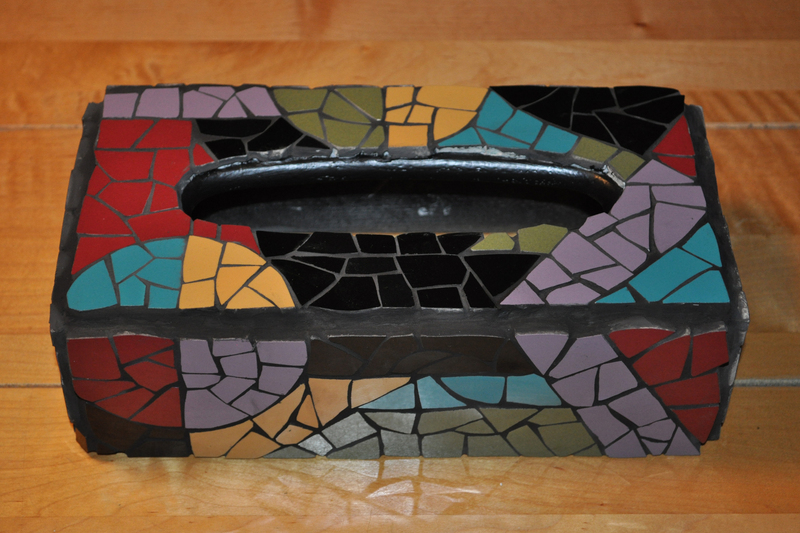 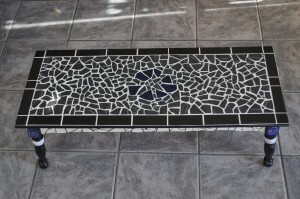 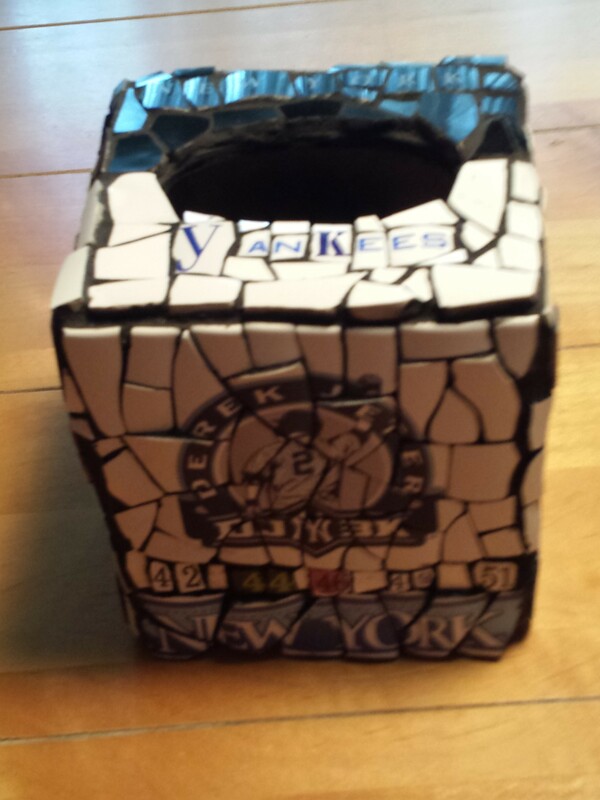 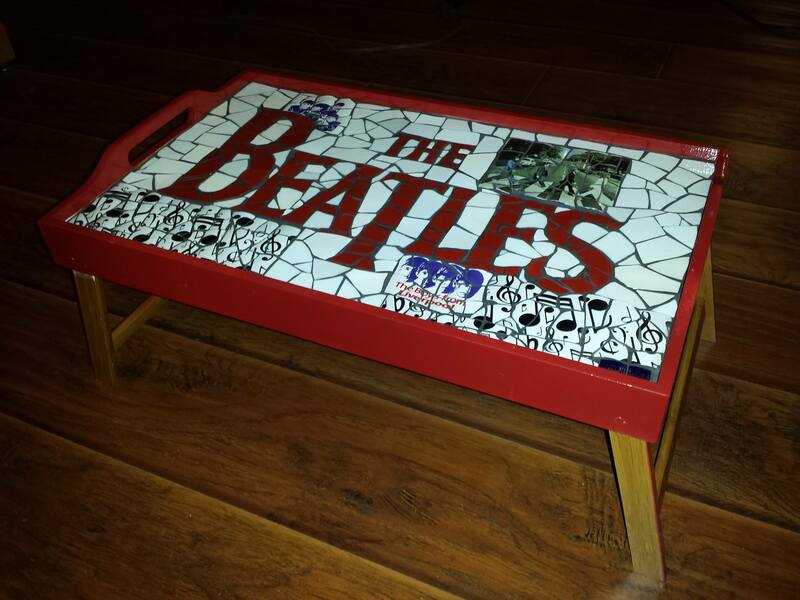 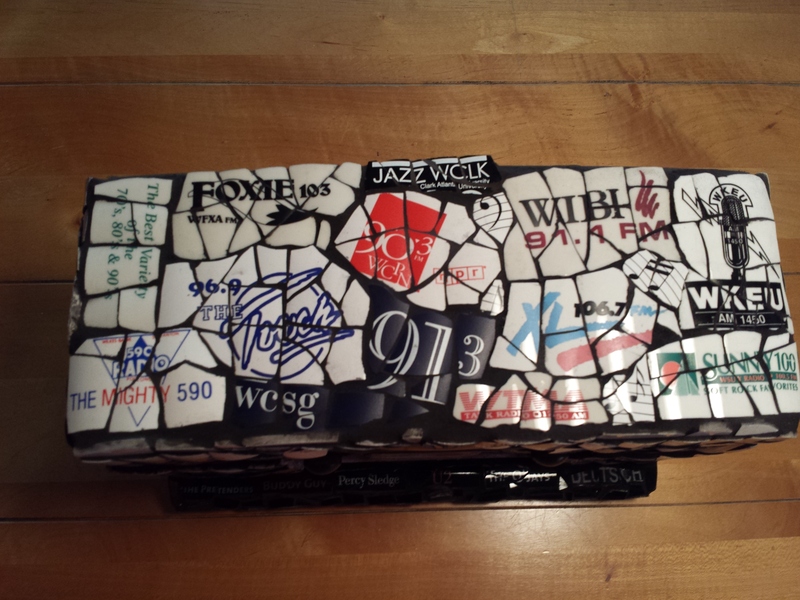 This table was my first mosaic creation. Aside from using a set of gently used Pier 1 and other assorted plates, the edges were done with new hardware store tiles cut to size. 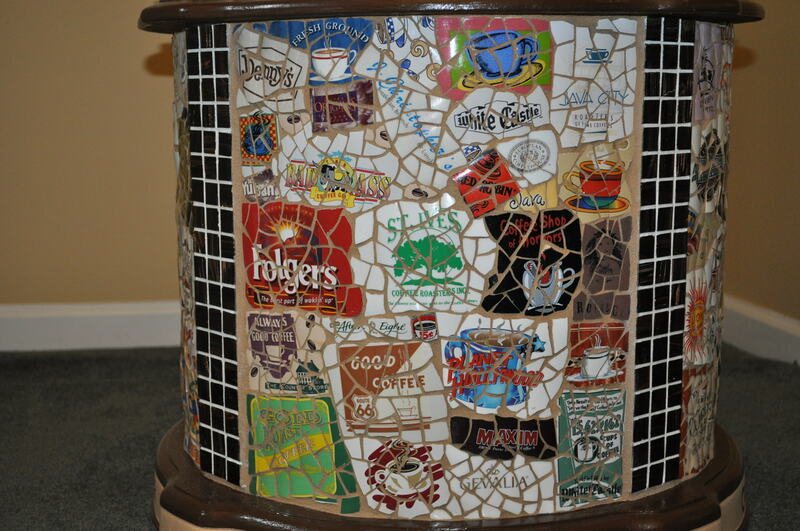 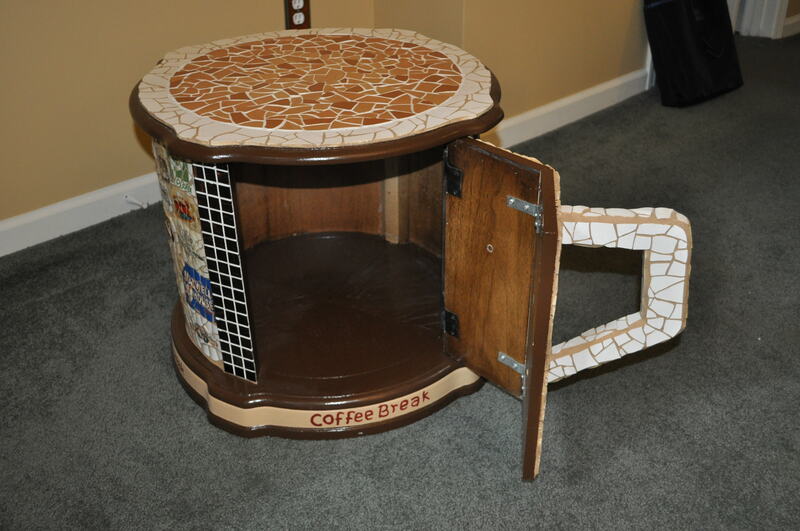 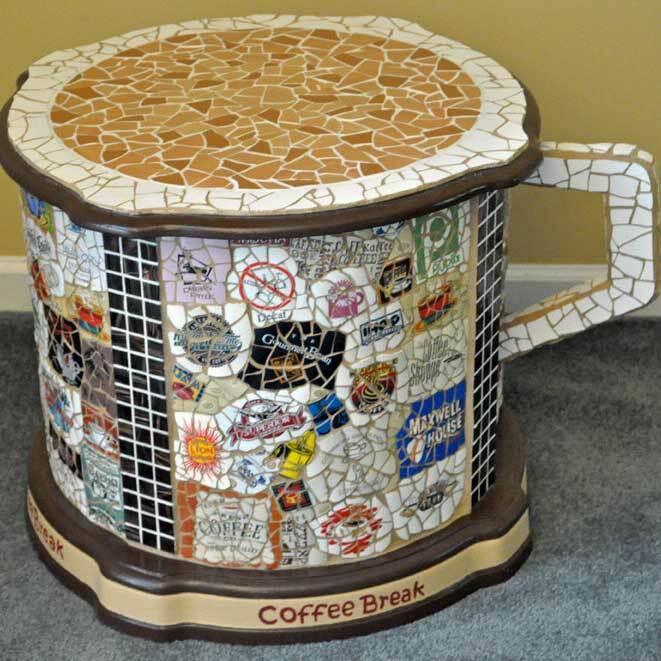 This functional table was created using a cylindrical end table covered with various coffee mugs of coffee manufacturers and cafes. 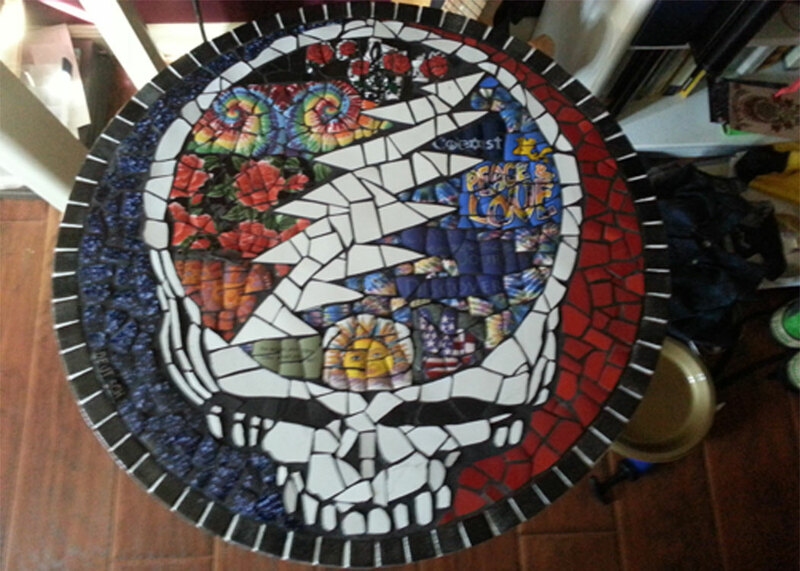 The materials for the “coffee” on top included several plates and two candle holders. 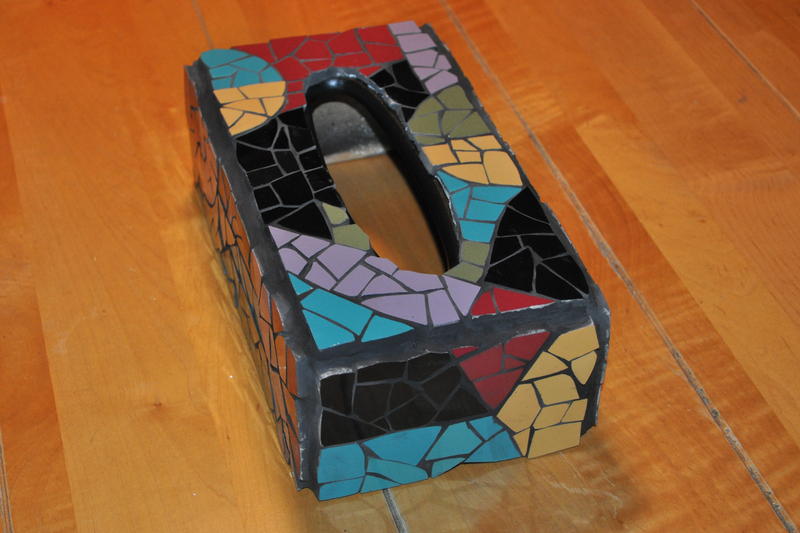 The handle was cut from a chair armrest. 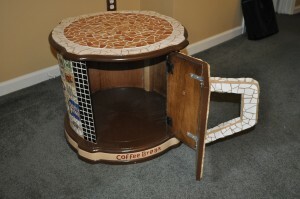 A new coat of chocolate brown paint was also added. 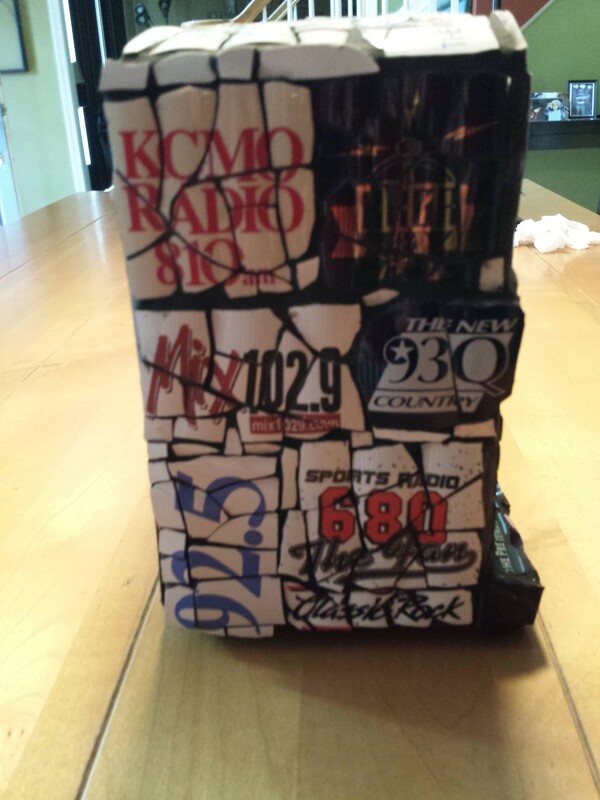 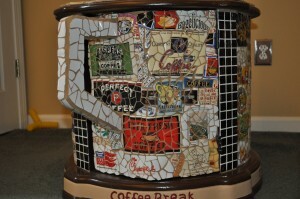 The inspiration came mostly from seeing so many coffee mugs from various known coffee establishments. For those who remember Kramer’s Coffee table book from “Seinfeld”, I did not consciously use his idea as my inspiration. 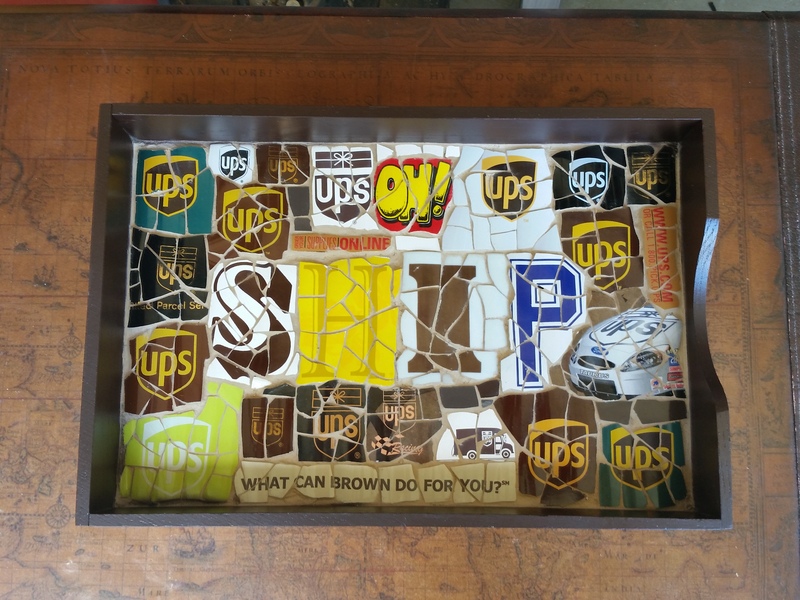 I had fun with this table. 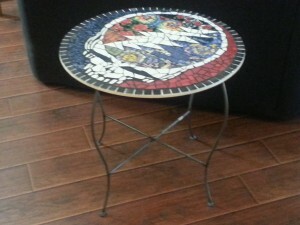 It features the “Steal Your Face”, Grateful Dead logo on a small round table. 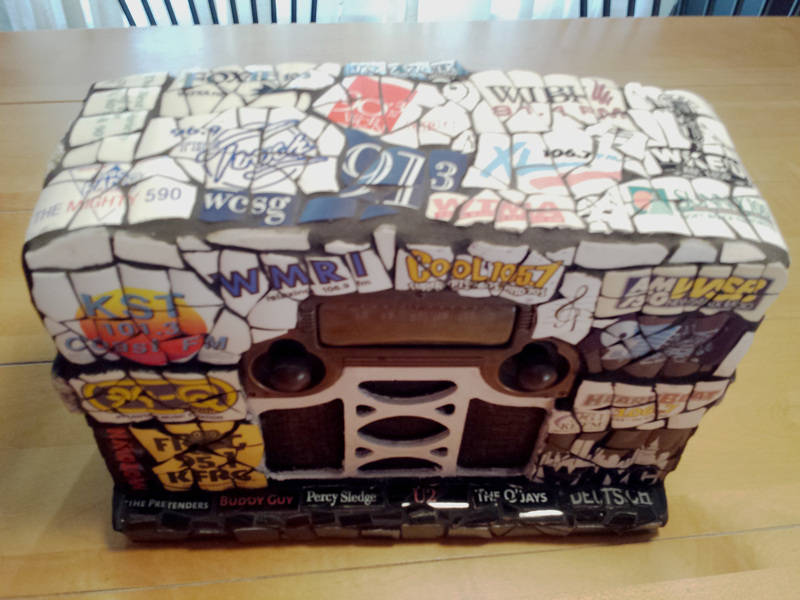 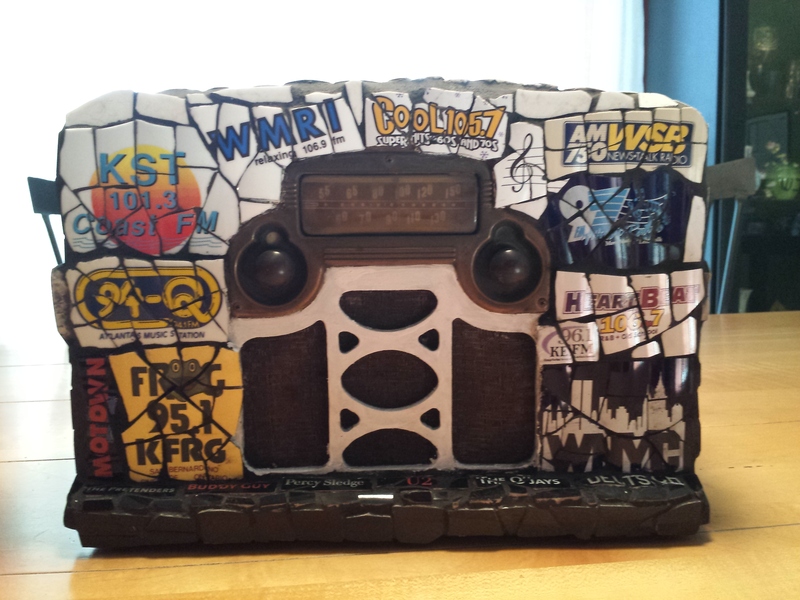 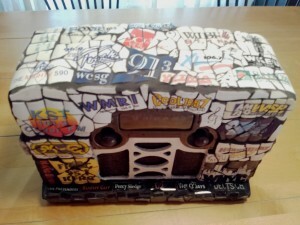 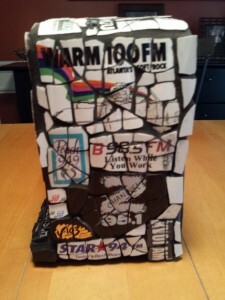 The base for this piece was a supposedly working radio. It may need a little work so I left the back uncovered by tile. 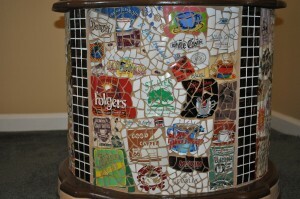 Coffee mugs make up the tile. 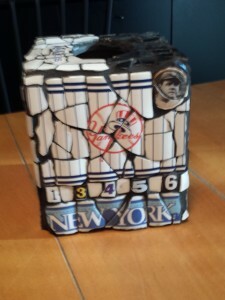 For you Bronx Bomber fans, this cover lists all the numbers retired by the Yankees. 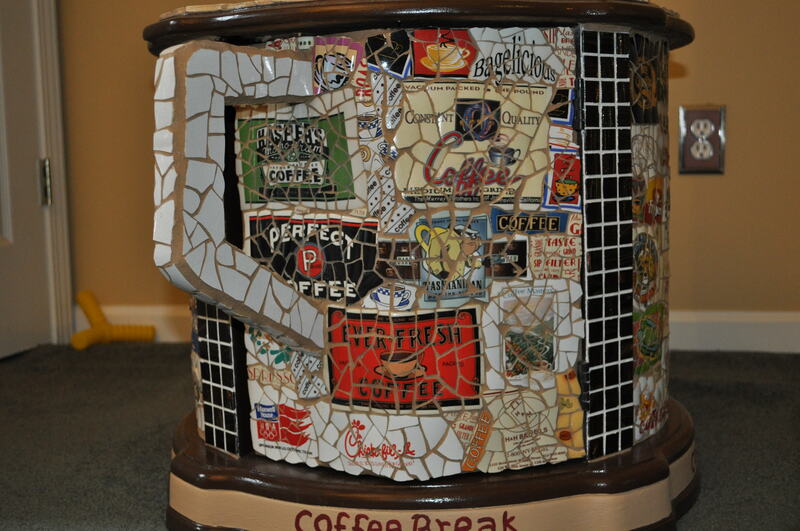 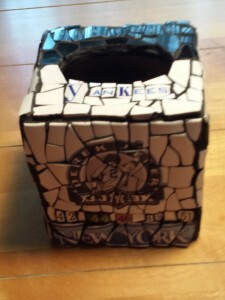 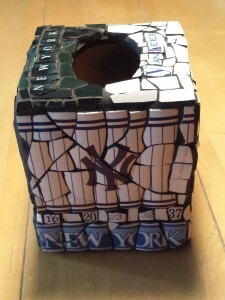 It is made entirely from coffee mugs. Who doesn’t love the Beatles? 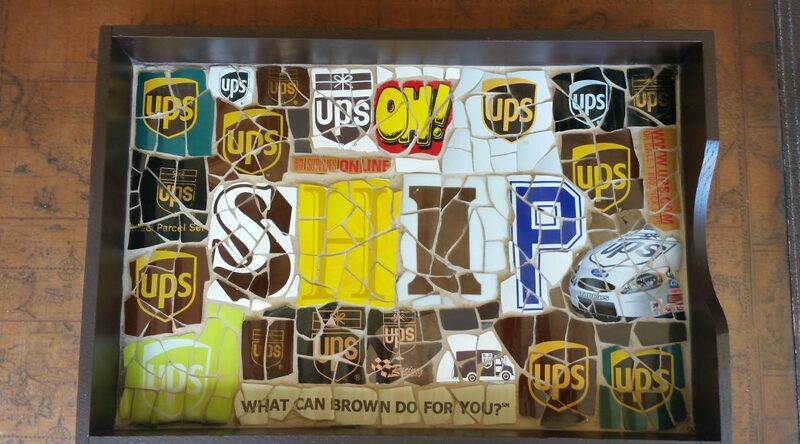 Maybe Allan Sherman, but that doesn’t matter. 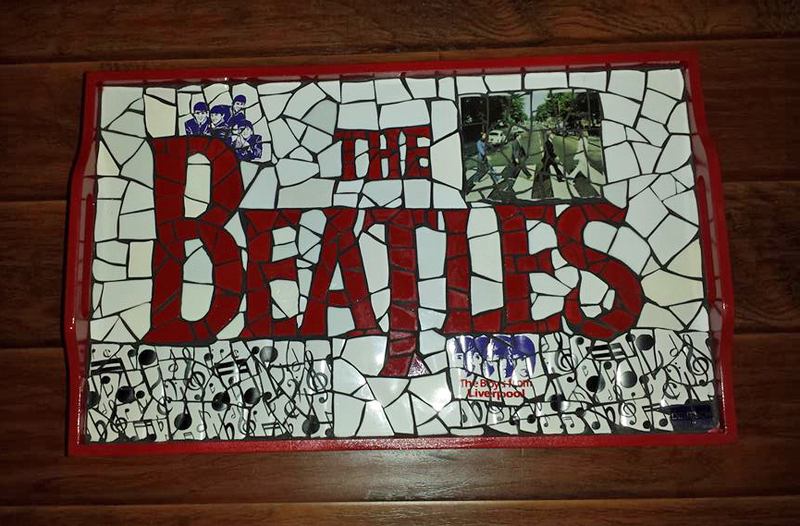 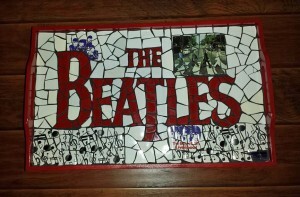 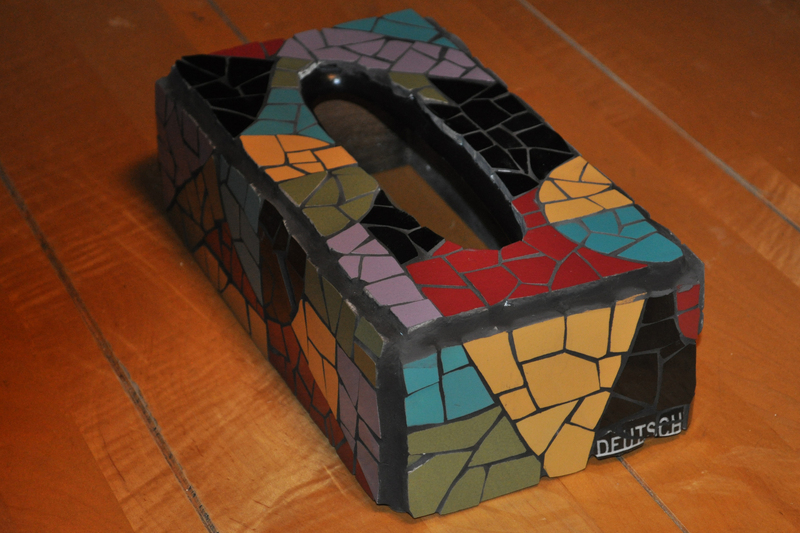 This mosaic logo and themed tray can be used as a hotplate, serving tray or simply add to your decor. 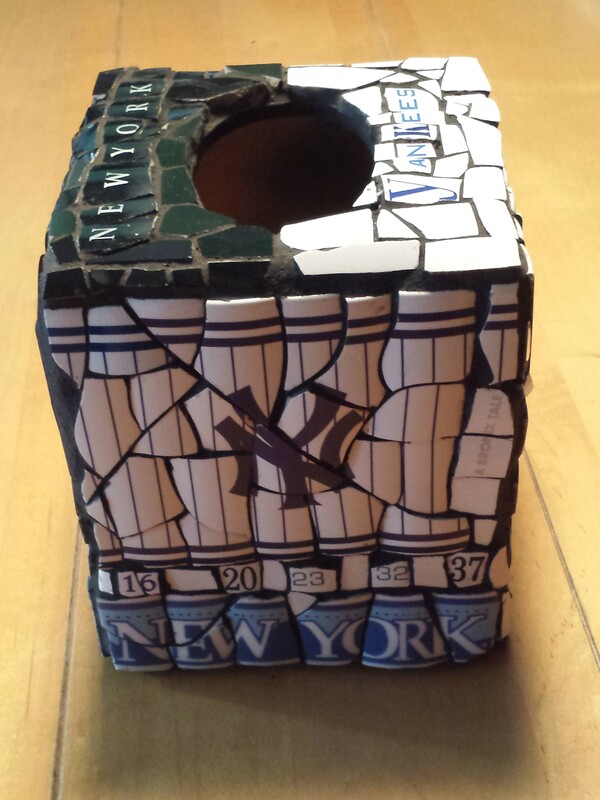 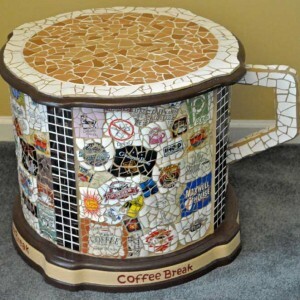 It is made entirely from plates and coffee mugs.